After finishing with Texas, we headed to our favorite winter destination, Tucson AZ. Since we had to make it through most of Texas and all of New Mexico, it did take us 3 straight days of driving to get to Tucson. Poor Opie was having some cabin, er RV, fever by the time we reached Tucson. While Opie loves all the places we visit, he’s not a fan of the driving part. He suffers from mild car (RV?) sickness so he’ll cram himself into the passenger front area for most of the trip. We find that a Dramamine pill helps take the edge off so he’s a little sleepy and a little calmer. At least he no longer tries to crawl into the driver’s front area anymore (that was fun habit we had to break quickly). Taking our final break at the Dragoon AZ I-10 Rest Area. Ahhh, Tucson, the land of dry air, warm sun, and mostly no bugs. 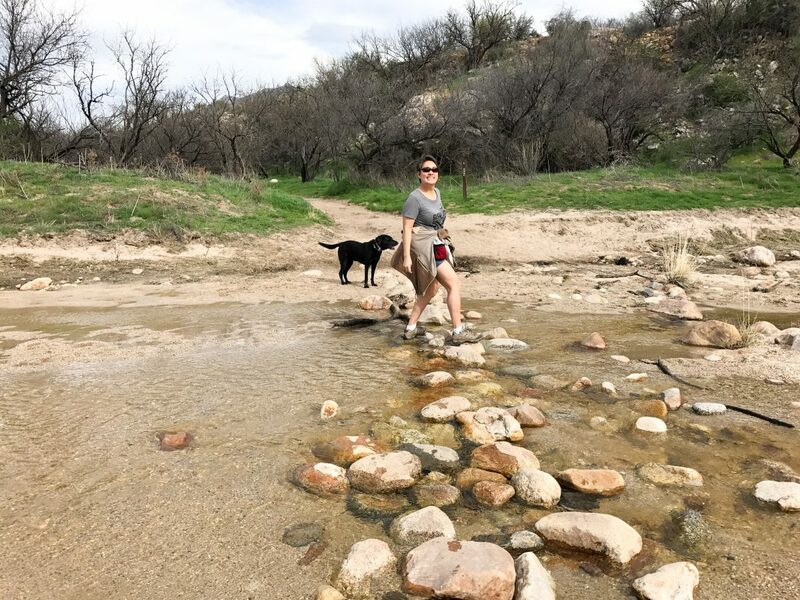 We were only able to snag three days at Catalina State Park (it sells out months in advance in the winter) so we used that time to take Opie on a nice hike through the park and prep for our next journey to Yuma for my (hopefully) final dental appointments in Mexico. Hiking at Catalina State Park is always more fun when the washes are active after some rain. 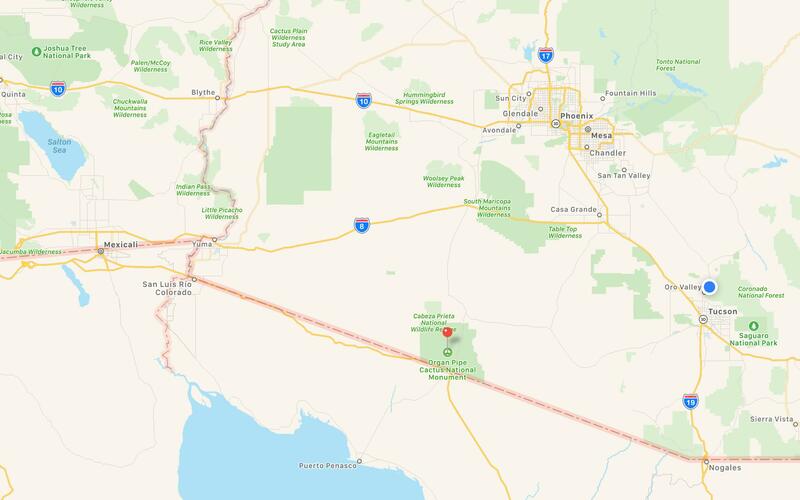 Our original plan was to head to Yuma and boondock in the desert near American Girl Mine for a while like last year, then head to an RV resort for the rest of our stay. 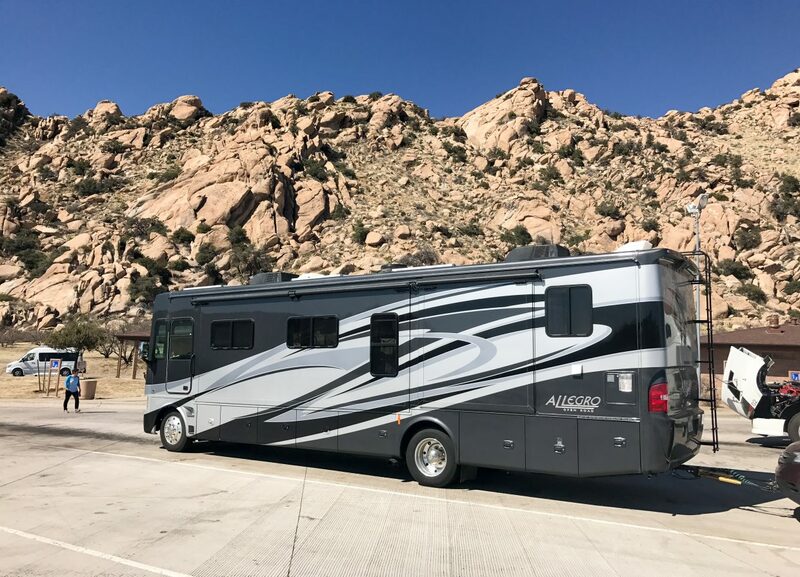 Well, boondocking is nice (and free), but there’s not a lot to do but watch the wind, sun, and mountains, plus the forecast called for rain in Yuma which makes for iffy boondocking. 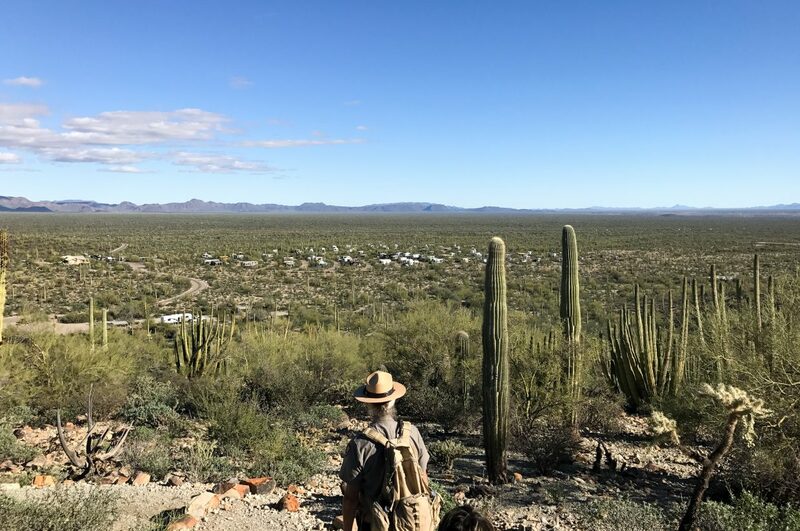 Then Mike had an epiphany: instead of boondocking at Yuma for a few days, why don’t we take a detour to Organ Pipe Cactus National Monument and spend a few days exploring? This is why Mike is the planner, he’s good at the job. Organ Pipe Cactus National Monument, center bottom of map. Off to Organ Pipe we went! It’s right on the border with Mexico in a pretty remote part of the desert with only one small town within 60 miles. They have a very large and nice campground right inside the park. There are no hookups but they do have a dump station with fresh water, and part of the campground allows generators from 8am-10am and 4pm-6pm daily. Our solar panels were able to keep us mostly charged up except for our first day or two when it was cloudy and rainy all day, so it was good to be able to use our generator too. They only have solar showers (mmm, brisk) so we just took quick showers in Rover to conserve water. We were surprised at how crowded the campground was but apparently we got there during Presidents’ Day weekend. Yep, we often forget about holidays now (we’re lucky if we remember what day it is). The campground is first-come first-served but we got there relatively early in the day and were able to get a nice site. 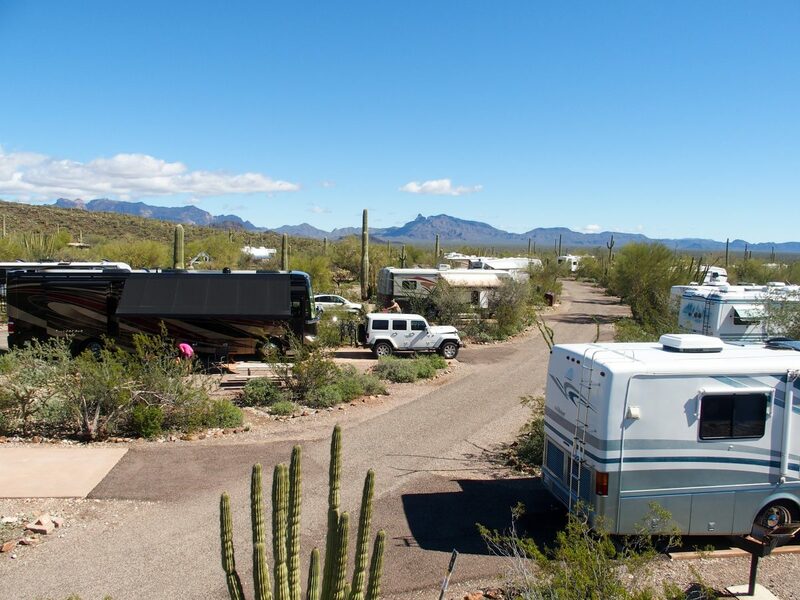 Twin Peaks Campground at Organ Pipe Cactus National Monument. 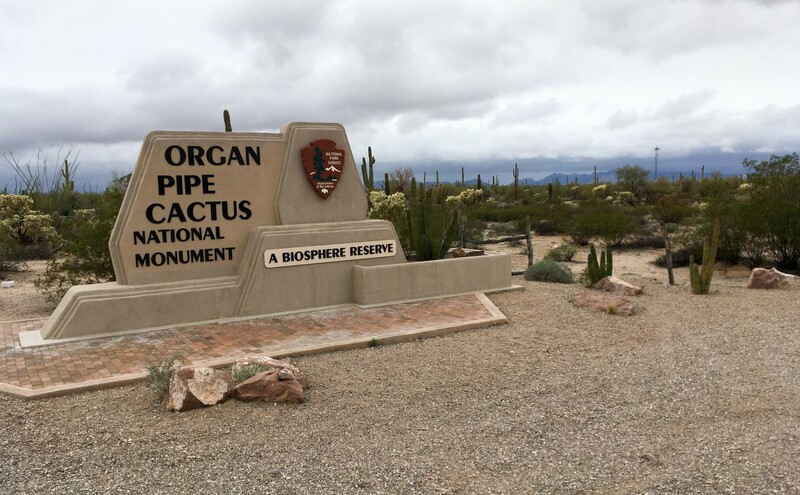 Organ Pipe Cactus National Monument was designated in 1937 by FDR but what we found fascinating is that Organ Pipe is also recognized as a Biosphere Reserve by the United Nations. 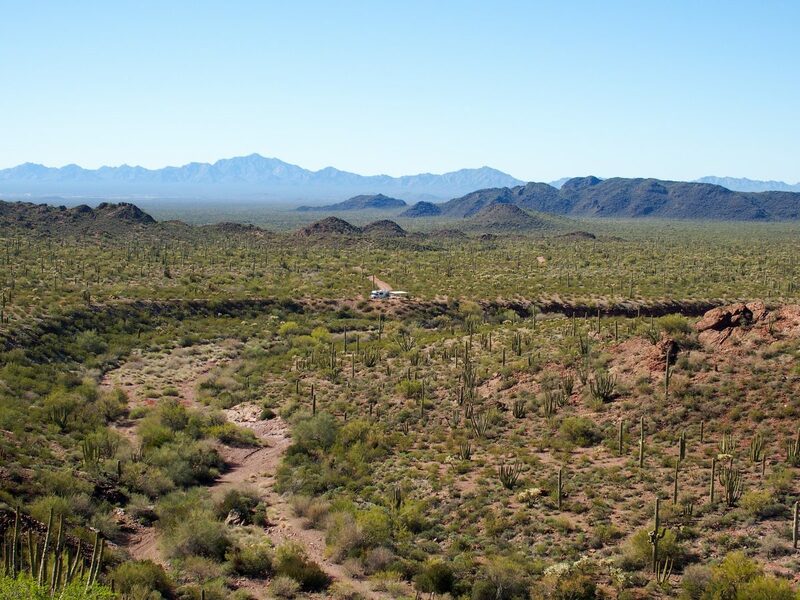 A Biosphere Reserve is used to protect a specific ecosystem, in this case the Sonoran Desert, but is also used understand, manage, and research changes that occur from human interactions within that ecosystem. While the National Monument is named after a specific cactus, all sorts of cactus, plants, and animals are located within the park. We saw some huge organ pipe cactus, but also the saguaro, barrel, and cholla cactus. With all the rain the park received in the first night we were there (one ranger estimated 3 inches), we also experienced the “desert rain smell” which actually originates from the creosote bush, one of the most common plants in the Sonoran desert. The scent really permeates the air after a rainstorm. Hiking the Alamo Canyon Trail. Organ Pipe hosts many ranger-led programs which we took advantage of. We learned about hot and dangerous in the desert, and took an informative desert view walk with a ranger who talked about the various plants and animals in the area. We learned that you can really only drink from the barrel cactus (if you ran out of water), the rest of the cactus are too alkaloid; however you lose so much water in the desert that the barrel cactus couldn’t sustain you, you’d just die slower. The ranger also showed us the difference between a baby saguaro and organ pipe (organ pipe have red needles on top, saguaro has blond needles and looks like a nerf bat – fatter on the top), the different type of chollas cactus (just stay away from all of them, it’s safer that way), and an active packrat midden right under a saguaro cactus. Ever since we discovered ranger programs at the parks, we’ve been a huge fan. They are free and they provide such great information that we would normally not discover on our own. All the park rangers we’ve hiked or toured with are so enthusiastic about nature and sharing their knowledge with us! Taking a break to look back along the Ajo Mountain Loop Drive. The park also has a number of scenic dirt road drives that take you through the heart of the desert. Some of the drives do require high clearance vehicles and/or 4×4 abilities. 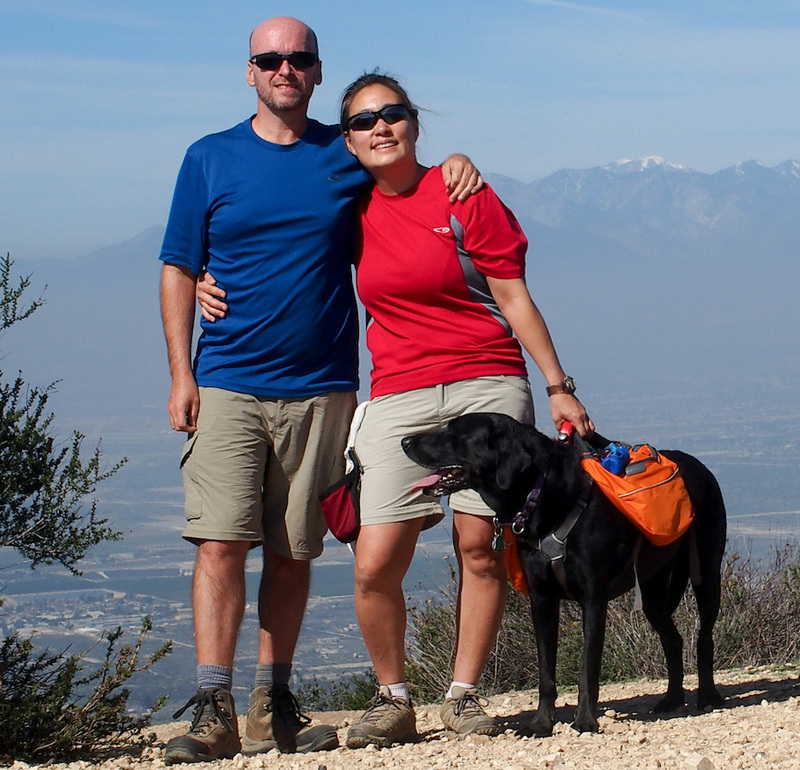 We decided that the easy Ajo Mountain Loop, a 21 mile drive would be a nice one to try. 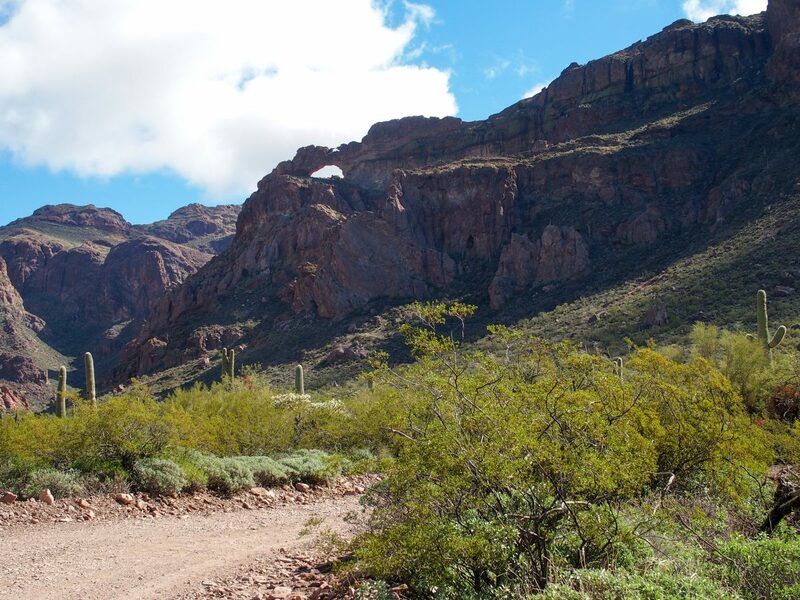 The park provides ranger-led van tours of the Ajo Mountain Loop, but it was sold out. However you can pick up a free drive guide from the visitor’s center with great descriptions about each stop, so that’s what we did. Getting a look at Arch Canyon’s arch from our dirt road drive. We can’t go to a national monument without taking some sort of hike. 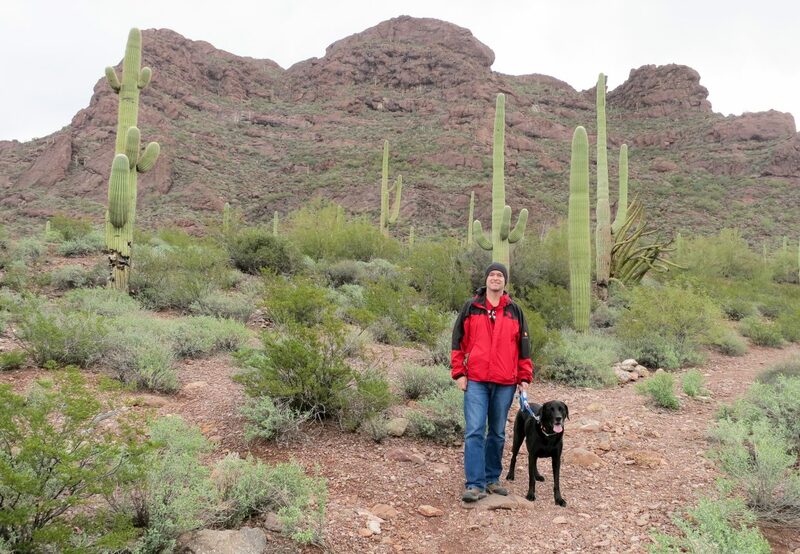 Most national parks will not allow dogs on hiking trails but Organ Pipe just opened Alamo Canyon trail to dogs recently which made our decision easy. The trail parallels the Alamo wash and follows and old road to an abandoned ranch and corral. 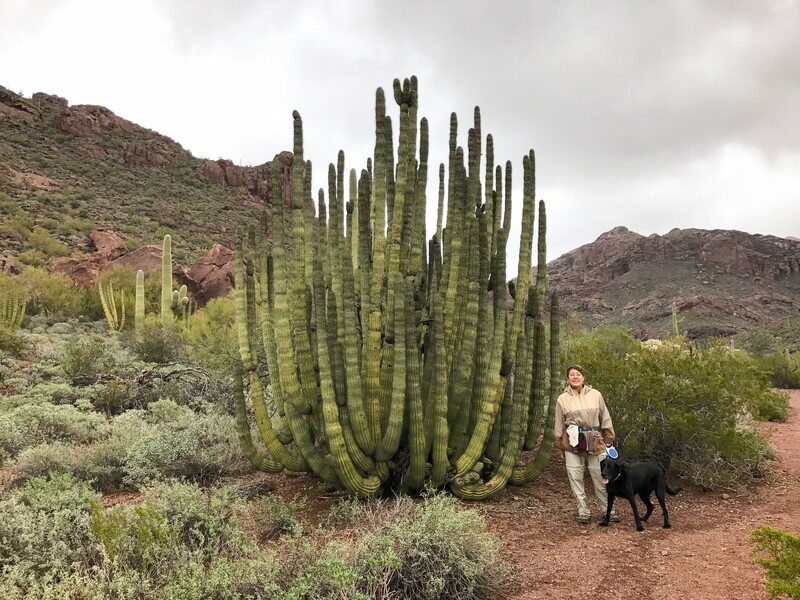 It’s an easy 2-mile out-and-back trail with the option to continue further once you cross the wash.
A huge Organ Pipe Cactus along our hiking trail. With the overnight rain deluge, the wash had turned into quite a creek, plus heavy rains started as we approached the wash crossing which clinched our decision to turn around after Opie got in a quick soak. There are some great organ pipe cactus, cholla, and rock formations on the trail here. I’m a bit amazed that Opie didn’t get stuck once by any cactus, he came awfully close to a few of them. 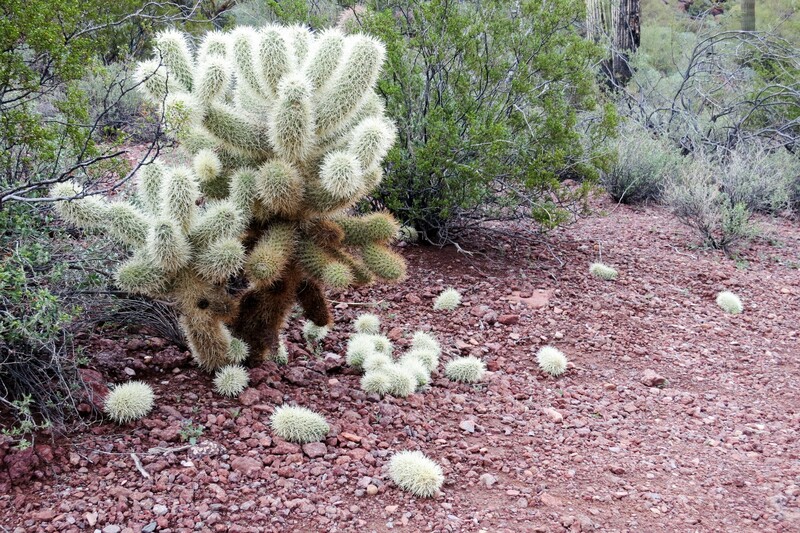 Teddy Bear Cholla have barbed spines that grab you and don’t let go. Watch your step! Organ Pipe is a beautiful desert park with so many things to do. Lots of hikes, ranger programs, night sky programs, and drives available. It is in the middle of nowhere but if you are in southwest AZ, it’s definitely worth a visit! Thanks for the share about Organ Pipe Cactus National Monumnet are a. You are so right about the Ranger led hikes, they know the area and usually very excitesbto share about it. Glad Opie didn’t bump any of the cactus plants. Thanks, hope you make it to Organ Pipe when you’re in the area. Seriously, I swear Opie was going to stick himself a few times during our walk but he must have some weird radar! Lovely. We’ll have to get down there next year. We meant to go after a week in Tucson, but our week turned into six. We love it there! Left today headed east and staying a week in mm. Happy trails and keep writing! We agree, Tucson is such a great place to hang out in the winter and there is so much to do here! I can understand how one week turned into six. 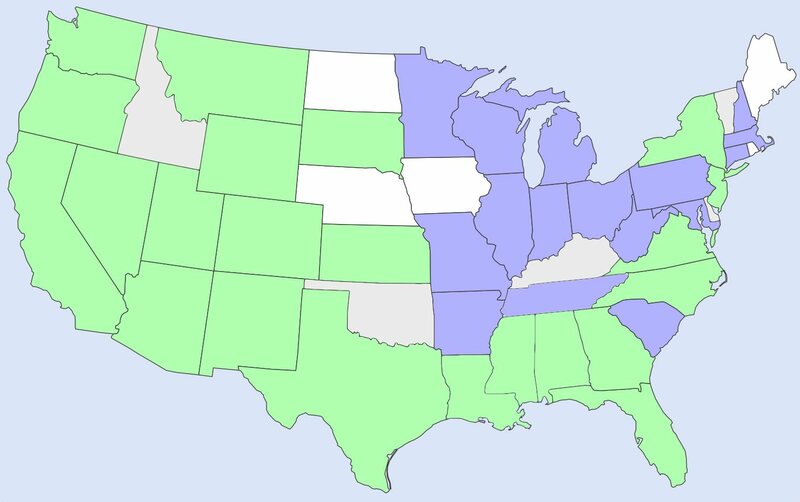 Enjoy NM, we haven’t made it there to visit yet but we hope to fix that this year. That’s great that they have a trail that dogs are allowed on. Have you found that in many of the National parks? 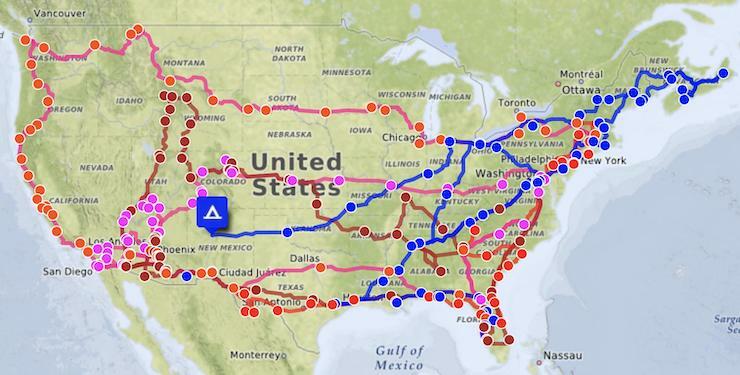 No, unfortunately the majority of the national parks only allow dogs on paved roads and campgrounds. We often have to find a nearby national forest or other park in the area to give Opie some hiking time. I think Grand Canyon and Shenandoah are about the only two that have a lot of open dog trails. I was lucky enough to go to college at the U of A in Tucson. Talk about a fabulous place to go to school, especially for a northeasterner!! Been back a few times and always, always love it there. Lots of great State parks in southern NM – City of Rocks and Oliver Lee to name just a couple. I think NM State parks are the best deal in the nation – very inexpensive and beautiful to boot!! Thanks for the recommendations! We are taking a dip into NM this summer so we’ll have to check it out if we’re in the area. We spent all our time on the east coast so the SW is really quite beautiful!